Twitter users started getting weird notifications from the app on Tuesday afternoon. Users had no idea what to make of the messages, so they took to Twitter to share their confusion. 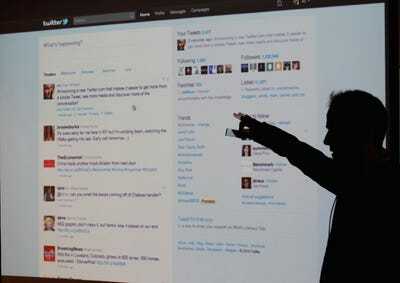 Twitter CEO Jack Dorsey says the messages were due to a glitch that made code appear publicly. Twitter users were getting some unusual notifications on Tuesday afternoon, and no one was able to figure out what they mean. People took to social media (Twitter, mostly) to express their confusion and share their theories about what the cryptic messages could mean. The notifications consisted of seemingly random jumbles of numbers and letters. Some Android users on Twitter said they didn’t receive the garbled notifications, but it’s unclear if the glitch only affected iOS users. Even Twitter CEO Jack Dorsey received the strange notifications, and posted that the company was working on fixing the issue. The account for Twitter Support posted soon after that the notifications were due to a glitch that made behind-the-scenes code visible to users. The issue was quickly fixed, Dorsey said.